Welcome to DY Hair777--Drive Your Beauty From Hair. We believe in providing not only the best products but also the best support and service to you our customers. If you don't already know our motto is best bang for your buck and we’re proud to offer you exclusive deals and promotions just for you. DY-HAIR is one of the leading suppliers of virgin hair in China. Focusing on various virgin hair, closure, wigs, clip in hair, micro loop, U/I tip, tape hair. Specializing in high-quality human hair products for 12 years. Products’ quality is our life. 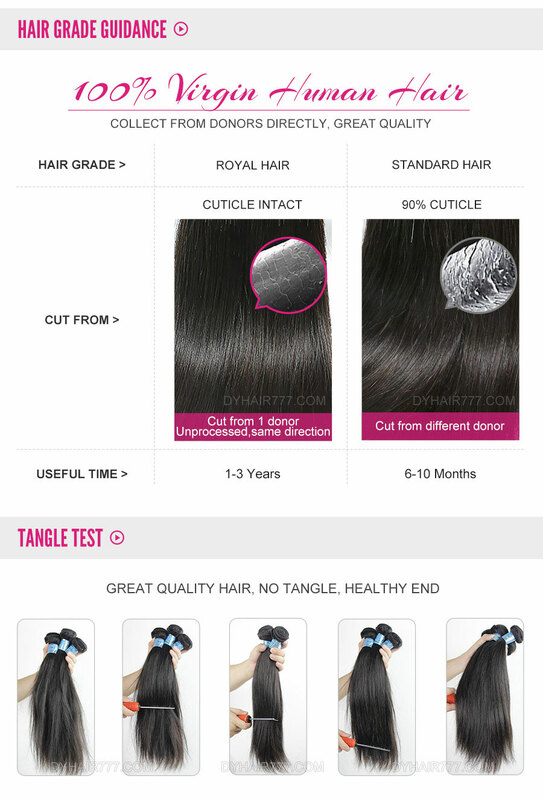 6 testing process include tangle test, shedding test, styling test, bleach test, service life test, marcel test. 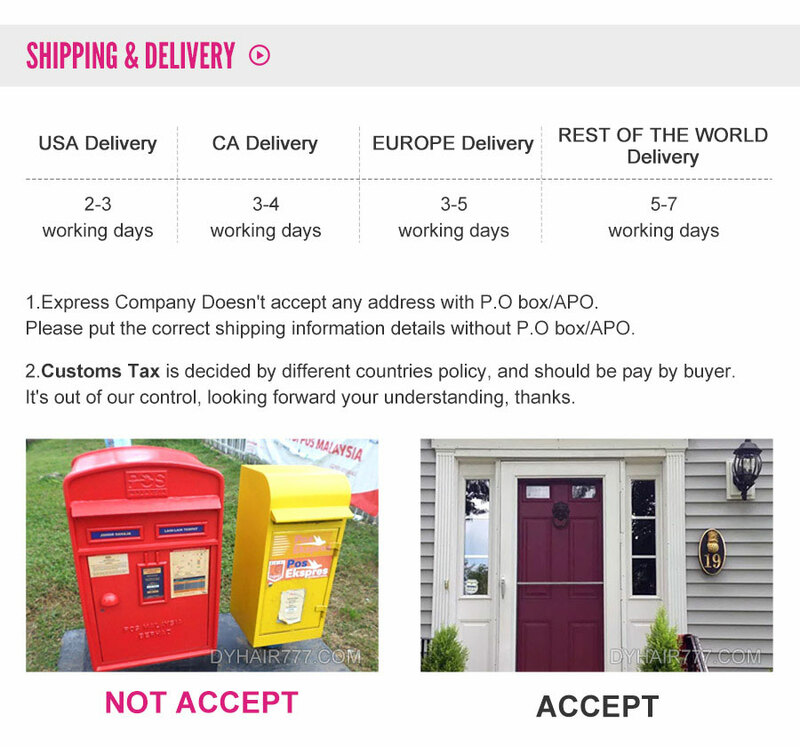 Our products quality keeps stable all the time, which help us win the high praise from our customers, we only provide the top-quality products to help you expend your business. We have much products in stock for your urgent in need, responds in 12 hours, send out in one workday. We are working hard to become more professional as a supplier. Free sample, free professional picture, free label with your logo. If you have any good idea, please tell us, we willing to accept and improve. We believe, with your help we would be better and better.